Karl Del’Haye was a West German winger who made his name at Borussia Moenchengladbach in the 70s. He earned his only two caps in 1980. For his first cap, he replaced Klaus Allofs in the 71st minute in a friendly vs. Austria (April 2, 1980, West Germany 1-Austria 0). He made the 1980 European Championship Finals squad and earned his second and final cap in a scoreless tie vs. Greece on June 17, 1980. He joined Bayern Munich in the summer of 1980, but was a fringe squad member and as a result was never called up again. English midfielder Kevin Richardson won League titles with Everton (1985) and Arsenal (1989) despite not being a first choice squad member. He was one of the first foreign players to join Real Sociedad after they adopted a policy of signing foreign imports. After a year, he returned to the English league and joined Aston Villa, where he had a successful spell. However, he must have been as surprised as anyone when newly appointed England Manager Terry Venables selected him for a friendly vs. Greece (May 17, 1994, England 5-Greece 0), aged 31 and clearly not a future prospect. He was never called up again after this. Italian midfielder Giovanni Stroppa was considered a young hope for the future, but was always on the fringes of AC Milan’s star studded squad. 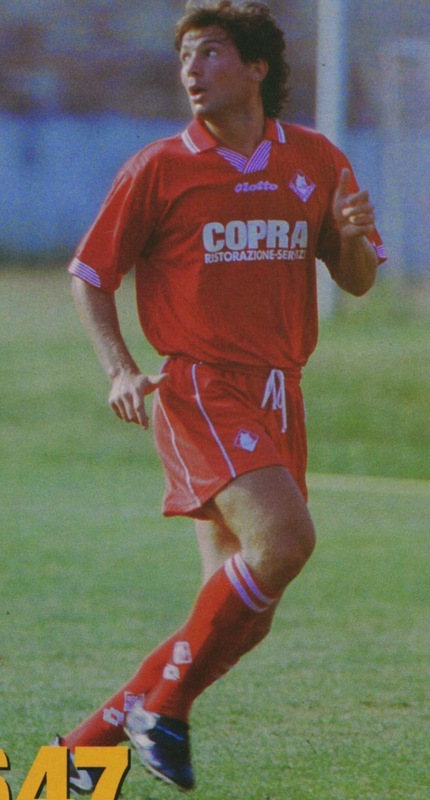 He joined Lazio for couple of seasons, but he was at his best when he joined Foggia in 1993. He earned all of his 4 caps during the 1993/94 season under Arrigo Sacchi his former club manager at AC Milan. His first two were the critically important World Cup qualifiers vs. Scotland (October 17, 1993, Italy 3-Scotland 1) and Portugal (November 17, 1993, Italy 1-Portugal 0). He was substituted in both matches (in the 90th vs. Scotland by Gianfranco Zola and 61st minute vs. Portugal by Demetrio Albertini). In 1994, he played the friendly vs. France (February 16, 1994, Italy 0-France 1) and was substituted in the 65th minute by Massimiliano Cappiolli. He earned his final cap in a friendly vs. Germany (March 23, 1994, Germany 2-Italy 1); he came on as a substitute and replaced Dino Baggio in the 70th minute. After four straight caps, he was not selected again. Juan Gilberto Funes was an Argentina striker who caught the attention of Carlos Bilardo when starring for Millionarios of Colombia and River Plate. He earned all of his 4 caps in 1987. His first cap was vs. Italy (June 10, 1987, Italy 3-Argentina 1), Pedro Pasculli substituted him in the 59th minute. His second was ten days later in a home friendly vs. Paraguay that Argentina lost 0 to 1. His last two caps were during the 1987 Copa America on July 9th (vs. Uruguay, 0-1 loss) and July 11th (vs. Colombia, 1 to 2 loss). In both matches he came on as a substitute at the start of the second half. He therefore lost every match he played for Argentina. He died at the age of 28 on January 11th, 1992 due to a heart attack. 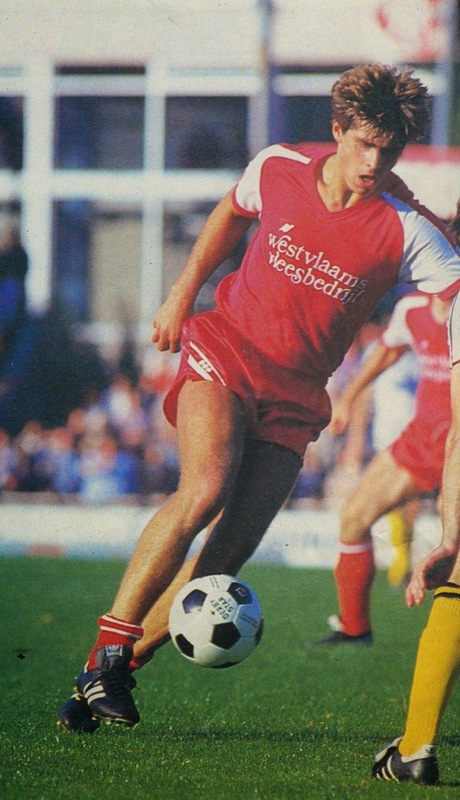 Richard Niederbacher was an Austrian striker, whose best season was at Belgian club Waregem during the 1983/84 season when he scored 24 goals. His first cap was in a friendly vs. France (March 28, 1984, France 1-Austria 0). His second cap was vs. Greece (April 18, 1984, scoreless tie), where Peter Pacult substituted him in the 62nd minute. His third was a World Cup qualifier vs. Cyprus (May 2, 1984, Cyprus 1-Austria 2); Gerald Wilfurth substituted him in the 88th minute. He was surprisingly called up for two more caps in 1988 in February 1988, in a couple of Friendlies (February 2, 1988, Morocco 3-Austria 1 and February 5, 1988, Switzerland 2-Austria 1). He is mostly remembered for his disappointing season at Paris St Germain (1984/85). Paris St Germain President Francis Borelli had the option to sign Danish striker Preben Elkjaer, but chose Niederbacher, because he was younger and had scored more goals in the Belgian League than Elkjaer. I wonder why Terry Venables chose Kevin Richardson?